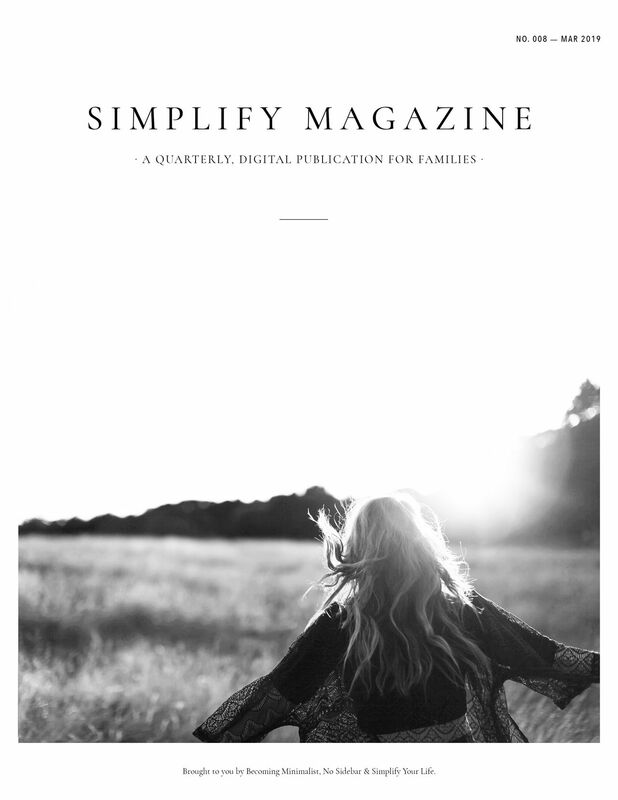 Simplify Magazine is a quarterly, digital publication that pulls together experts in various fields to address some of the most pressing needs of the modern family. In this issue of Simplify Magazine, you will find contributions from best-selling authors, CEOs, philosophers, nonprofit founders, and some of the men and women who have been personally influential in our pursuit of contentment. Each will bring a unique perspective to this important conversation. Join more than 95,000 subscribers and help your family focus on the things that matter most. Get Issue No. 008 of Simplify Magazine—just $6. Food and Diet (June 2019), Relationships (September 2019), Habits (December 2019). View Previous Issues · Download Issue No. 001 for free!